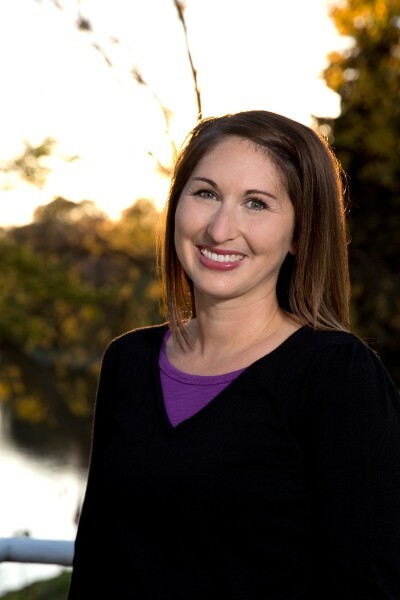 Dr. Jennifer Stafford is a general dentist practicing in Fort Atkinson, WI. She received her undergraduate education from the University of Minnesota, graduating with a degree in Genetics, Cell Biology, and Development with a minor in Chemistry in May 2004. While working towards her degree, Dr. Stafford participated in a research project on cell growth in a Drisopholla Melanogaster (fruit fly) genetics laboratory, and presented this research at several undergraduate research conferences. Dr. Stafford continued her education at the University of Minnesota School of Dentistry where she worked on several research projects through a research scholarship granted by the Dental School. She received her Doctor of Dental Surgery (DDS) degree in May 2008. Dr. Stafford began practicing dentistry at Bender, Kind, and Stafford Dental in Fort Atkinson in July 2008 following graduation. In 2009, Dr. Stafford began focusing much of her continuing education towards specialized training in treating jaw joint, facial pain, and obstructive sleep disorders. She opened the BKS Dental Center for TMJ and Facial Pain in November 2015. Dr. Stafford earned a Fellowship degree in the Academy of General Dentistry (AGD) in July 2016, and a Fellowship Degree in the International College of Craniomandibular Orthopedics (ICCMO) in September 2016. Dr. Stafford holds the following professional memberships: American Dental Association,Wisconsin Dental Association, Jefferson County Dental Society (past president), Academy of General Dentistry (Fellowship), International Association of Orthodontics, International Association of Comprehensive Aesthetics, International College of Cranio-Mandibular Orthopedics (Fellowship), Academy of Laser Dentistry. Dr. Jennifer Stafford started a science club for 1st-4th grades at St. Joseph Catholic School, and still currently volunteers in the program. She is a member of the Fort Atkinson Science Fair Committee, and volunteers as a track and cross country coach for St. Joseph Catholic School. Dr. Jennifer Stafford and her husband Erik reside in Jefferson with their two children, Jameson and Sophia. In her free time, Dr. Stafford enjoys running, boating, swimming, gardening, and camping with her family.